Jewel Lake features a neighborhood with residential homes, restaurants, grocery stores, bowling center as well as the convenience of Jewel Lake Park. The municipality of Anchorage oversees the Jewel Lake Park which has many outdoor amenities including a ball field, volleyball court, playground equipment, restrooms, picnic tables with shelter, and a lake stocked by the Alaska Department of Fish and Game and a parking lot for public use. The lake has a beach with sand and BBQ pits for summer enjoyment. 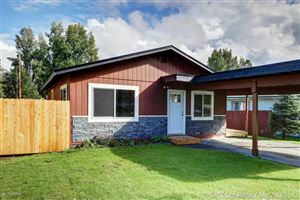 If you are looking for a home for sale in Jewel Lake in Jewel Lake, we have all homes for sale in this area featured on MLS from ALL the Real Estate Companies. If you are looking for a New Construction Home in the Jewel Lake area call/text 9074404661 for availability of lots and pricing information.